A digraph is two letters which work together to make a single sound like sh in shell or fish. A digraph can be made up of vowels or consonants. 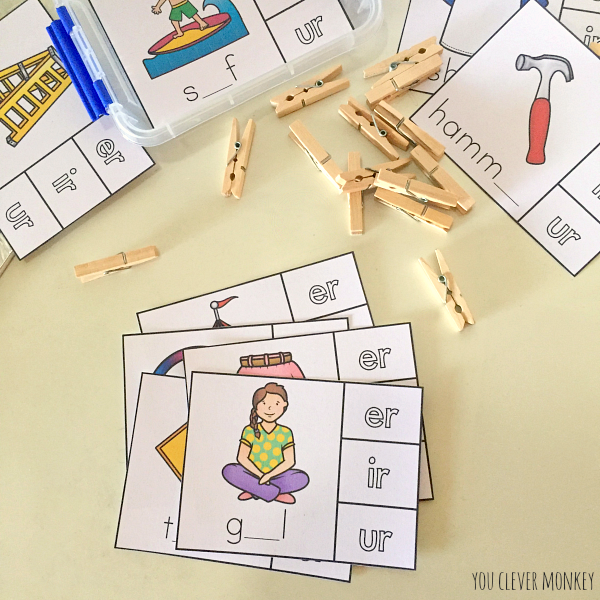 Most consonant digraphs are taught in Reception (first year at school) while the vowel consonants are taught more in Year 1. 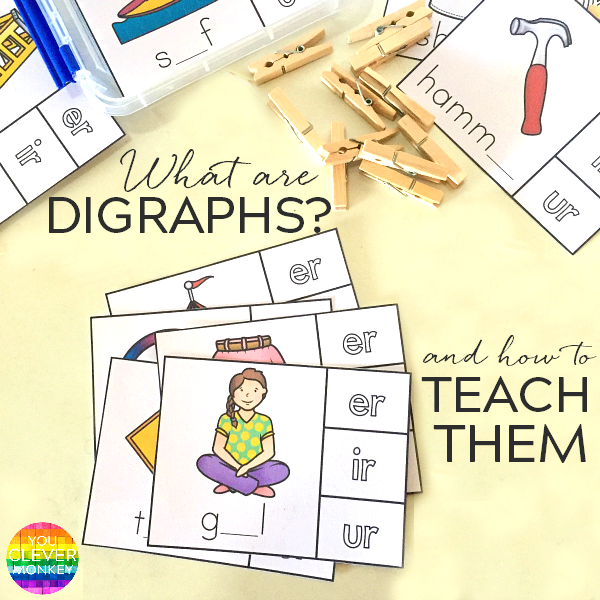 WHAT'S THE DIFFERENCE BETWEEN A DIGRAPH AND A BLEND? A consonant blend is when two consonants are blended together but when you stretch out the word, each sound can still be heard. Blends might be the first sounds in a word or the last. The most common blends are - bl, br, cl, cr, dr, fl, fr, gl, gr, pl, pr, sc, sl, sm, sp, st and tr but there are also some three letter blends like splat, spring and street. Vowel digraphs are made by two letters with at least one being a vowel like /ea in leaf or /oy/ in boy. Vowel digraphs such as /ae/, /ie/, /oe/, /ee/, /ue/ can also be split by a consonant like in /oe/ in love or /ie/ in bike. 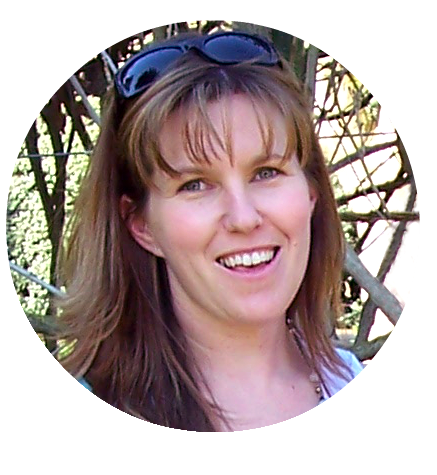 When taught, depending on the phonics program used ( think Jolly Phonics, Letters and Sounds, Soundwaves, Thrass), it's beneficial to show children that the same sound can be represented different ways. A grapheme is a written symbol (ie letter) that represents a sound. This might be a single letter or could be 2, 3 or even 4 letters said together. For example, the words pay, aim, grey all have the same /ai/ sound but they use a different digraph in each word. Using visuals can help young children start to make sense of this. There are some rules for some digraphs like /ay/ is only found at the end of English words but for other spelling, children will have to rely on their memories and practice. Children are offer more competent readers before they are spellers so I always ask my students to 'read' their work as a reader to see if they can pick up any mistakes themselves. Even if they can't fix it, it helps show me what sounds we still need to work on in class. 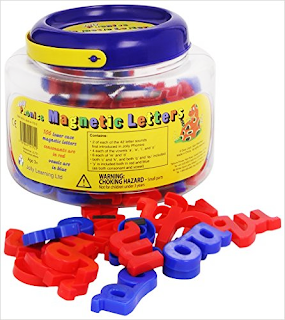 One classroom tool I love for teaching digraphs are these magnetic letters designed for the Jolly Phonics program as they include the digraphs as one piece providing a useful visual for this age group to help them see the letters working together to make one sound. 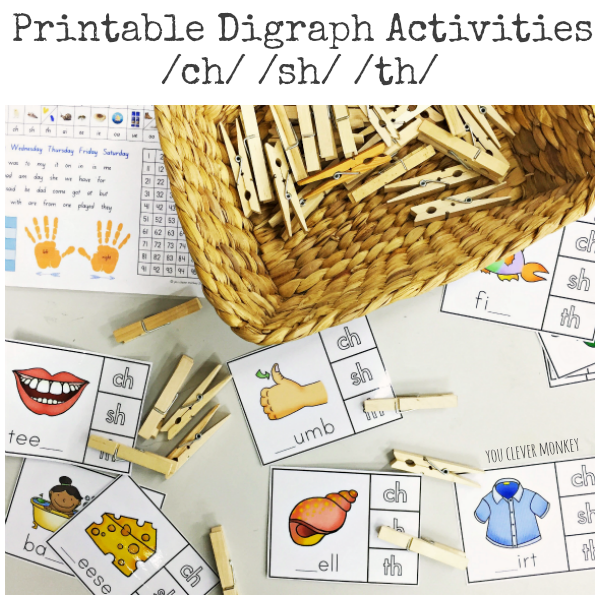 Teaching digraphs can be fun and most children are ready to learn them once they have looked at the more common alphabet letter sounds but like everything you introduce, reintroduce and then practice and practice the concept some more. It's time to revise some of the letter sounds we've been learning in class this term. 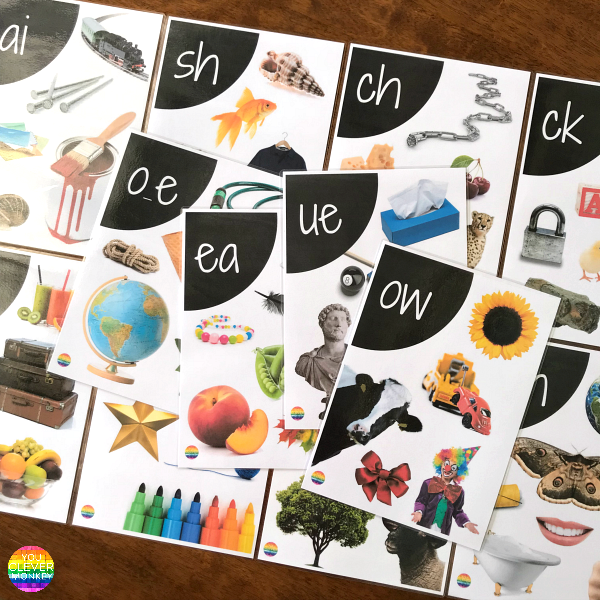 Working in the Early Years, I know these literacy activities need to be hands-on to allow the children to practice their word work but because I couldn't find exactly what I wanted to focus on the different digraphs I've been busy making some new printables to suit. We've been using these activities for some whole class work as well as our small groups for our Daily 5 literacy centres. 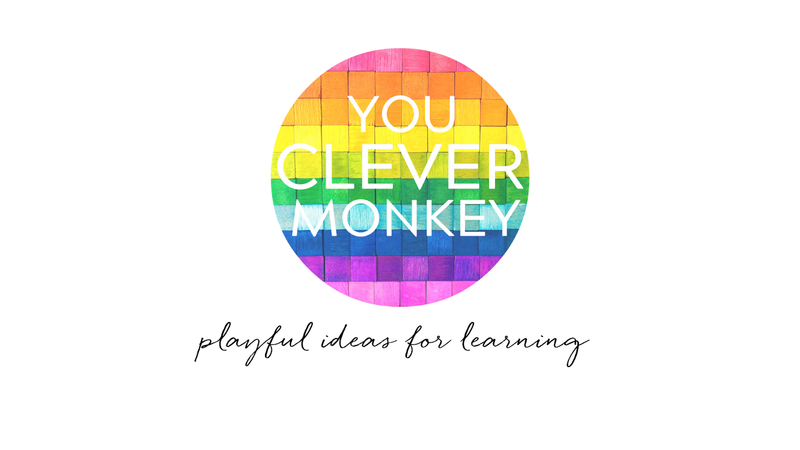 Some were used to help introduce and reinforce the sound, others have been used to assess student's ability to differentiate between sounds in words. 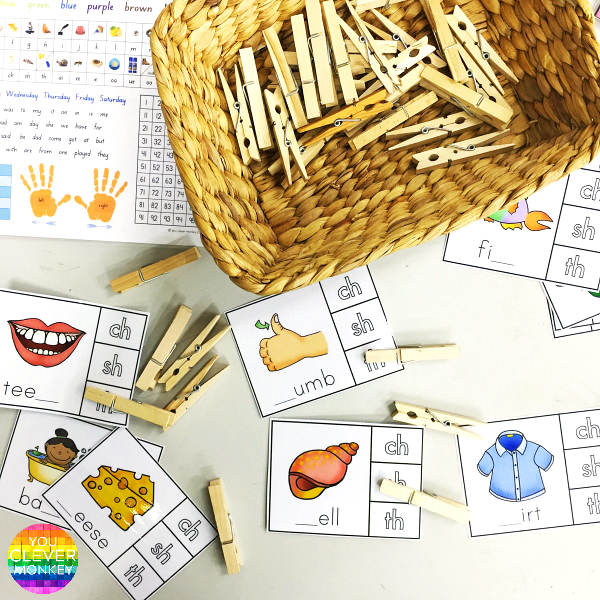 Our literacy centres are the perfect time to allow students opportunities to practice the different skills needed to become literate. Our literacy centre posts are some of our most read. 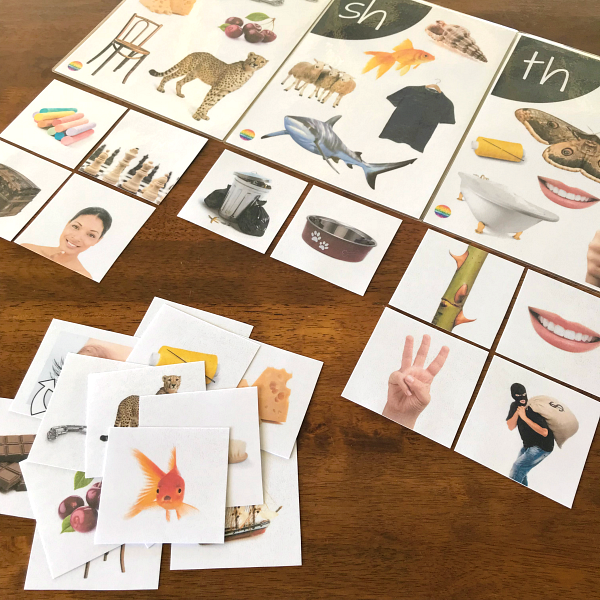 Larger sets of these cards to make them easier to sort in pocket charts or print two sets to play memory games. 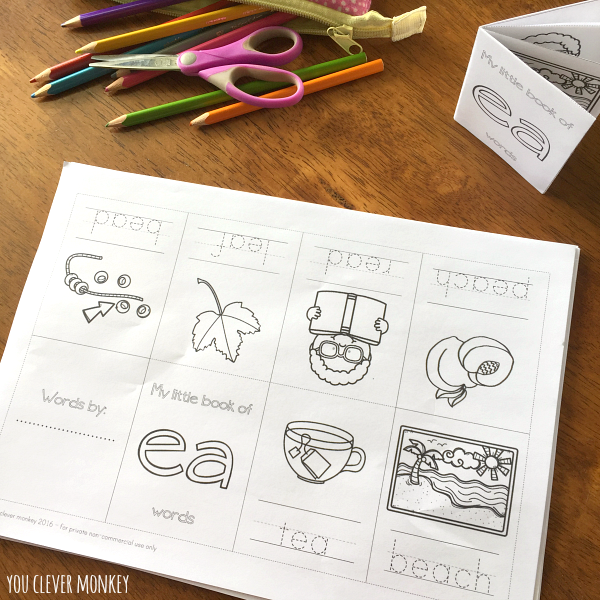 DIGRAPH SOUND MAZES AND I SPY GAMES! 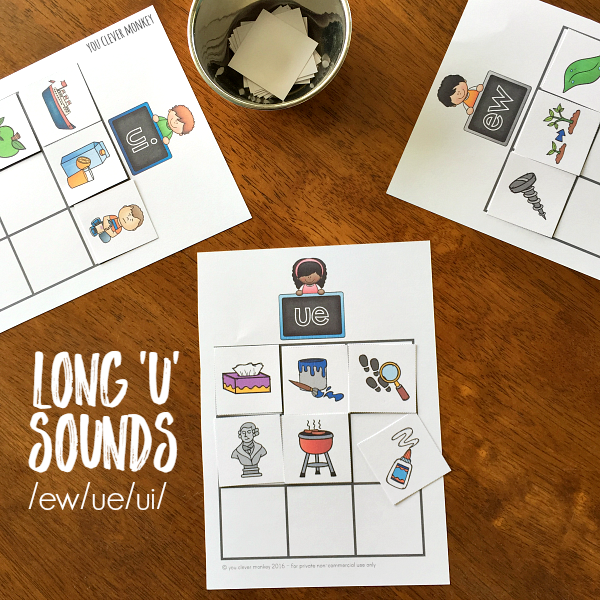 oVER 45 PAGES OF ACTIVITIES FOR THE long e sounds. INCLUDED CLIP CARDS, MINI BOOKS, BINGO CARDS AND POCKET CARDS. 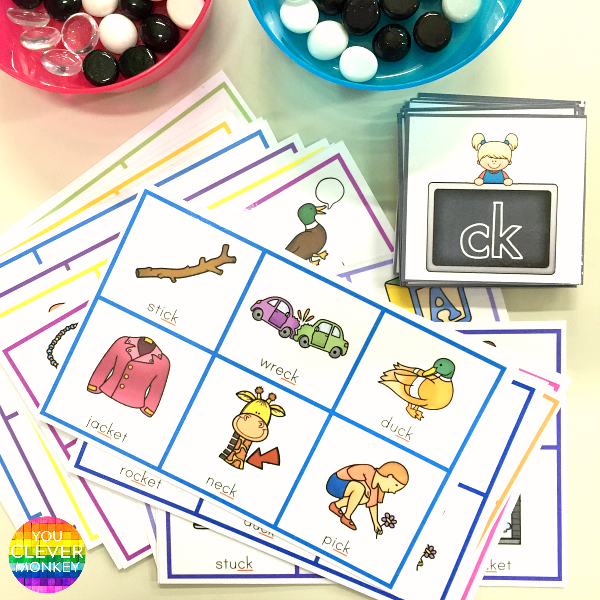 fun activities for the whole class or literacy stations for the ch/sh/th sounds. 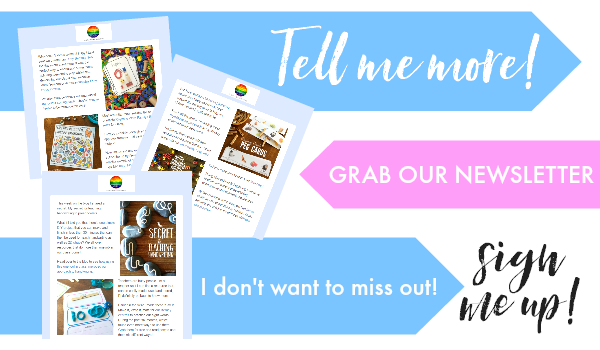 Over 50 pages ready to print! OVER 45 PAGES OF ACTIVITIES FOR THE CONTROLLED 'r SOUNDS. INCLUDED CLIP CARDS, MINI BOOKS, BINGO CARDS AND POCKET CARDS. 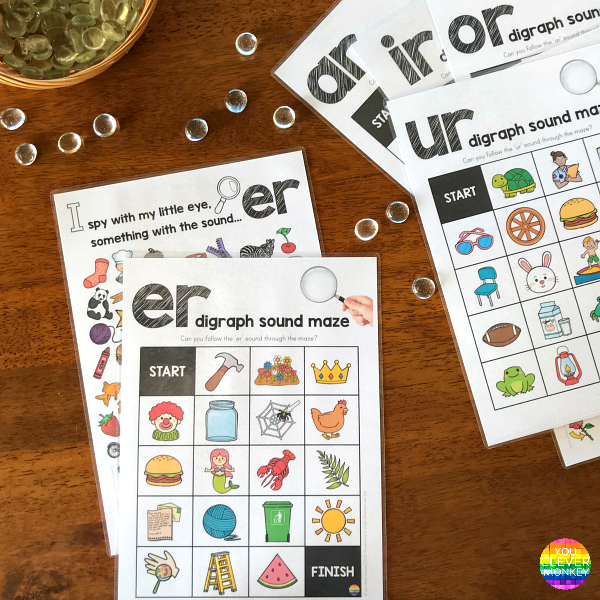 sound mazes and i spy mats all five controlled 'r' sounds - ar/er/ir/or/ur in the one bundle! 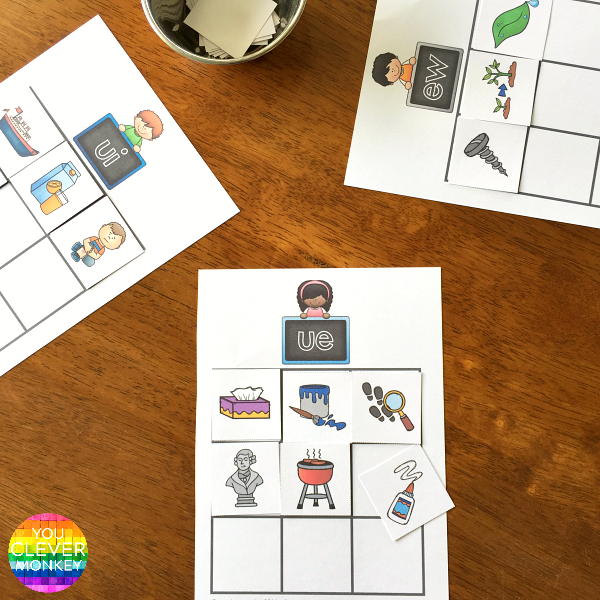 REady to print ACTIVITIES FOR THE long 'u' SOUNDS. INCLUDED CLIP CARDS, MINI BOOKS, BINGO CARDS AND POCKET CARDS. 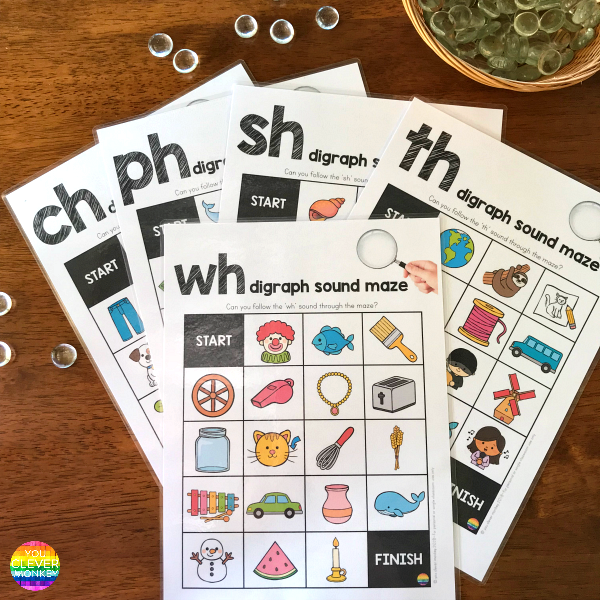 PRINTABLE SOUND MAZE + I SPY GAME FOR EACH DIGRAPH. AVAILABLE IN FULL COLOUR AND B+W. ANSWER SHEETS PROVIDED. 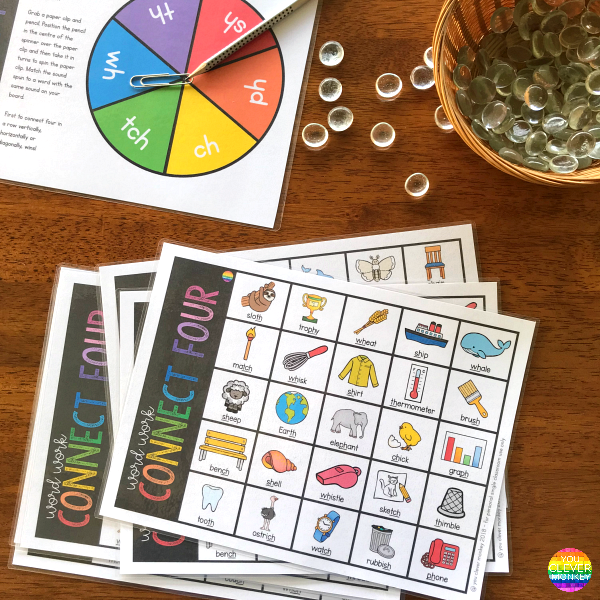 EASY TO PREP CONNECT FOUR GAMES FOR PRACTICING THE DIGRAPHS CH/PH/SH/TH/WH + TRIGRAPH TCH. 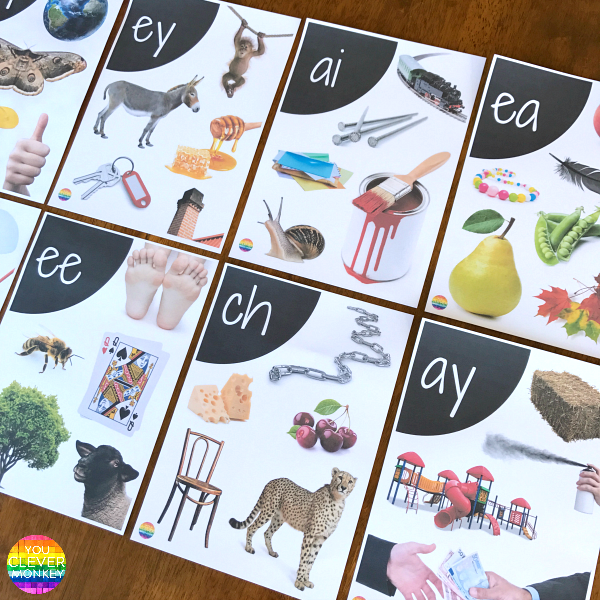 MORE THAN 30 PAGES OF 3-PART CARDS FOR THE DIGRAPHS CH/SH/TH/WH. PICTURE ONLY, PICTURE + WORD ALONG WITH WORD ONLY CARDS.